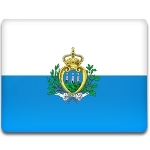 The Council of San Marino elects two Captain Regents to be the heads of the state. They are chosen from opposing parties, that lets balance political powers. Once the term of the Regents is over, the citizens of San Marino have a three-day period to file complaints about the activities of ex-heads of state. The first two Captain Regents were elected in 1243. This method of frequent choice of the heads of state is derived directly from the customs of the Roman Republic. Nowadays San Marino is a multi-party democratic republic. All parties are organized into two major alliances. The right-wing Pact for San Marino alliance is led by the San Marinese Christian Democratic Party and the left-wing Reforms and Freedom alliance is led by the Party of Socialists and Democrats.